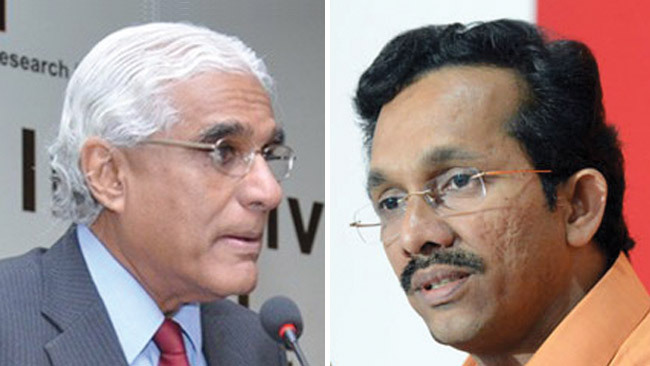 The Committee on Public Enterprises (COPE) will meet new Central Bank Governor Dr. Indrajit Coomaraswamy and Monetary Board officials on Thursday, COPE Chairman Sunil Handunnetti said. Speaking to the Daily News yesterday, he said the purpose of the meeting was to proceed on the investigations on the CB Treasury Bonds allegations based on the Auditor General’s report that was handed over last Wednesday. The meeting will take place at the parliamentary complex. He said former CB Governor Arjuna Mahendran would also be summoned before the Committee if necessary for the investigations in the future. “The COPE has powers to summon the former officials as well. We will look into what legal provision is available in case he did not turn up. So far, hardly any officer had evaded the COPE probes,” he said. Mahendran reportedly left for Singapore last week. President Maithripala Sirisena on Saturday announced the appointment of Dr. Coomaraswamy as the new Governor. He is to receive the appointment today. COPE investigations are revolving mainly on the controversial bonds sales on February 27, 2015 and March 29, 2016. The report of the Auditor General has stated that the controversial bond sales have caused a loss of Rs. 1620 million to the state.